Kayla Russel has all but given up on finding love until a new guy to town walks into her flower shop. There is something mysterious about him that intrigues her, but when she finds out the truth everything changes. 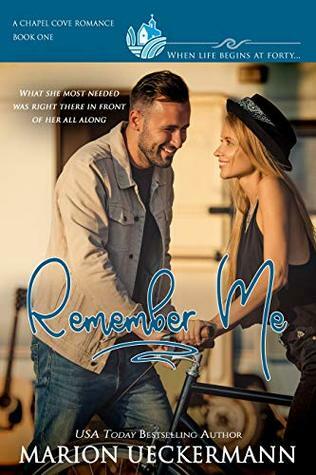 Derek Parker wants to leave his old life behind, but it proves to be harder than he’d anticipated when his past finds him. Now the woman he has come to care for feels deceived. Will his secrets come between them and destroy what could have been something wonderful? Previously published under the title A Valentine for Kayla. This was quite a fun read! I have read many of books by this author, and this one ranks at the top for me! How many times are people so disappointed in Valentine’s Day traditions? The thought of a florist business owner who can’t stand Valentine’s Day is hilarious, so let’s meet Kayla! Kayla is by far a sweetheart, she is so generous of her time to everyone around her, and I just love that about her! Her dedication to her friends and business is such a blessing to everyone around her….but she cannot seem to find the love of her life. Why? Maybe her list of requirements is a little too long and not very practical? I mean, is there really a perfect human man? Enter Derek….his life was once spinning out of his control, so he has decided to take it into his own hands and put a stop to his past wrongs and try to orchestrate his future on his terms. Trying to keep his past a secret in this new town he wants to call home is not going to be easy though, and he ends up hurting those he cares about when the truth comes out. Now let’s mix in a vindictive ex girlfriend, a mother recovering from a stroke, a business partner who is in the midst of falling in love with a co-worker, a serious and possibly dangerous mystery, and Hollywood paparazzi descending upon their small town! How will Kayla and Derek ever find their way to each other? Both of these main characters have huge hearts and want God’s best for their lives, the journey they take to get there, with each other, is one I am so glad to have been able to a part of! 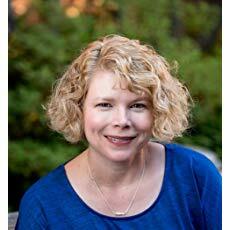 Award winning author, Kimberly Rose Johnson, married her college sweetheart and lives in the Pacific Northwest. From a young child Kimberly has been an avid reader. That love of reading fostered a creative mind and led to her passion for writing. She especially loves romance and writes contemporary romance that warms the heart and feeds the soul. Kimberly has also GENEROUSLY offered to have a free ~*Giveaway*~ to one of our blog members!! Simply comment on this post and tell us your favorite flower to be entered to receive the ebook of A Love Song for Kayla! Giveaway is open for seven days from today and winner will be notified via email! Yes, it is MONDAY, and yes, that typically brings a Coffee with Paula Marie post with and author interview…but today we are going out of the box, so hold on to your hats I am actually posting a REVIEW today on a fantastic work of Biblical non fiction! Naomi had a lot to be bitter about. Moved from her home to God’s “scrub bucket,” she lived for years in a foreign and idolatrous land. She experienced several devastating losses before she made the first of a number of huge decisions. Join Shirley as she eases Naomi out from the shadow of her daughter-in-law, Ruth. If you’ve faced tragedy, felt afraid for the future, or been faced with decisions that seemed overpowering, this is the book for you. Written in creative non-fiction, the story stays close to the biblical story, but is brought alive in a way that will help you identify with Naomi. Just as this lady of old faced life-changing decisions, so we too can face threatening situations trusting in Naomi’s God. Reflections after each short chapter will enable you to walk in Naomi’s sandals as well as your own. Okay, yes – I know this book technically does not fall in to the “Fiction” part of this ‘Fiction Full of Faith’ blog, but it certainly hits on every other aspect! I cannot thank Marion Ueckermann enough for putting me in touch with Shirley Corder, and I fully intend to read all of her “Out of the Shadow” books. No one has ever been able to bring the individual Bible character to life to me as much as this book has. I must have read the Book of Ruth at least a dozen times, if not more, and I always felt like I was missing something, like there should be more to Naomi’s story. What she felt, how was she so close to Ruth, why did she go back, etc, etc. Shirley has filled in those blanks for me in a big way! Not only do you get the feeling you are truly reading a woman’s life story, but Shirley includes the Bible passages to follow along with the story, and the creative narrative as well. I read it through the first time (yes, I said first time) as if it were a fictional novel and enjoyed every moment of it. For the second go round I read all the chapters from the very beginning, and then all of the follow up Bible verses and reflections that the author provides. Shirley’s ministry and insight is so heartfelt to me, and women of truly any age can relate to the journey of Naomi! I found myself honestly reflecting on how Naomi’s story could be viewed in today’s world, and what all of it means to me and my life in the here and now. I feel as though I can highly recommend this book to any woman I know, and honestly, I think it would make for an amazing women’s Bible study! In her previous life, Shirley Corder was a registered nurse and busy minister’s wife and mother. Following a confrontation with aggressive cancer in 1997, she turned her hobby of writing into a life-style, and has been writing for publication ever since. She has currently five books published on Amazon. “Strength Renewed: Meditations for your Journey through Breast Cancer,” is available in paperback format, or as an eBook. “Naomi ~ Beloved Mother-in-law” is also available as a paper-back and as an eBook. It is the first of a four-book series titled, “Out of the Shadows”. In this series, Shirley brings lesser-known Biblical women out of the shadow that hovers over them and reveals them as real flesh-and-blood women. The remaining three books are currently only available as eBooks, but they will be coming out as paper-backs in the foreseeable future. Shirley is contributing author to thirteen books to date including four Guideposts anthologies and some Chicken Soup books. She has published hundreds of devotional and inspirational articles internationally. She is also group director of CWOSA, an internet writers’ support group for Christian writers of Southern Africa. Shirley and her husband of over 50 years live a few blocks from the sea in beautiful Port Elizabeth, South Africa. She has a daughter and two sons, all happily married, and is the proud grandmother to four boys and two girls, covering an age span of 21 years. When she’s not working, she and her husband enjoy long walks on the beach. She plays several musical instruments and is co-director of a local choir. 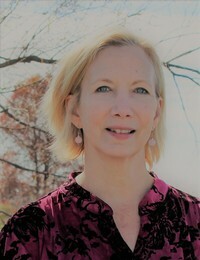 For more information about her writing, visit her writing website at www.shirleycorder.com. If you or a loved one is at any stage of the cancer journey, please visit her cancer website, http://riseandsoar.com, for inspiration and encouragement. Shirley has GENEROUSLY offered to have a free ~*Giveaway*~ to one of our blog members!! Simply comment on this post to be entered to receive the ebook of Naomi! Giveaway is open for seven days from today and winner will be notified via email! 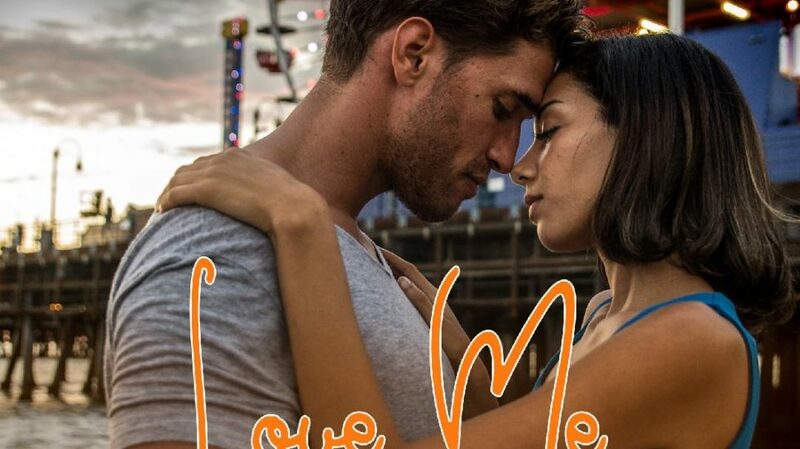 Now a Christian, former drug addict Emma Hughes is back in the small town of Rios Azules. She’s desperate to regain the trust of the son she once abandoned and change her life. Meeting a vacationer, Rodrigo Ybarra, she fights her attraction to him. Even with her newfound faith, the risk of a relapse is too high. On the two-year anniversary of his wife’s death at the hand of a junkie, Sheriff Rodrigo Ybarra comes to the ocean to mourn her. Romance is the last thing on his mind, but he’s drawn to a beautiful stranger who frequents the same spot. When he discovers her past could destroy his career, he struggles to guard his heart. Then Emma’s life is threatened. Rodrigo won’t let her push him away or allow concern for his career to hold him back now. Will he once again lose the woman he loves? Or will faith and trust bring them safely to a future together? Heart Unbroken is Book 3 of “The Potter’s House Books”, stories of love, hope, redemption, and second chances. I am trying to come with some eloquent words to describe to you guys how this book made me feel……but the best I can manage is WOW. 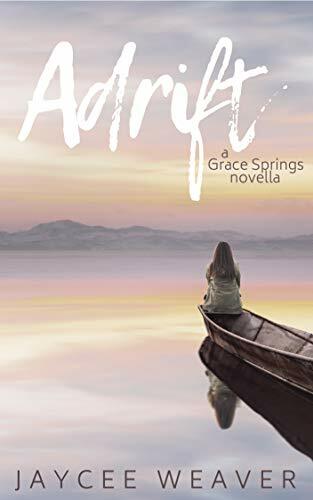 The Potter’s House series books are all about redemption and grace, in the words of one of the author’s of this series: “we live in a fallen world where people constantly mess up.” This installment form Alexa Verde shows us how we ALL need Grace in our lives! This book and Emma absolutely touched my heart……drug addiction is such a heartbreaking and all too serious issue in this day and age. The courage it truly takes to recover and stay clean is beyond my personal understanding. I have been extremely unfortunate to have a family member who is struggling with drug addiction every single day, and he is right now on the good side of things, but has had so many setbacks with it in the past, I can only keep praying… but back to the story of Emma, Rodrigo……Junior, Dillon and Joy. Yes, I am including Emma’s son Junior, ex-husband Dillon, and Joy – her ex-husbands new wife and stepmother to her son. They all play an important role in Emma’s continued recovery – and ultimately – with her new found relationship with Rodrigo. Joy is extremely important to this story, as she becomes one of Emma’s closest allies and staunchest supporter! I admired Joy in her own story (Season of Joy), but honestly, the self confidence that Joy shows in this story is truly amazing! I cannot imagine a new wife and stepmother defending and helping, and just being there for the drug addicted ex-wife, really? Urgh! Truth? I remembered Emma from Season of Joy, and my first gut reaction when I started this book was ‘no’. I don’t want to have sympathy for her, I want Joy and Dillon to tell her to go away……….how awful is that?? But Alexa Verde has a way of writing that just makes you stop and take a look at your own hurts and past struggles, and say, oh, Lord, I am so so sorry……please forgive ME for feeling that way. Ah, yes, I came away with a new found forgiveness in my heart, thanks to reading this book! The writing is powerful, and romantic………and yes, suspenseful! I so enjoyed the mystery and suspense factor – and I did NOT see that ending coming, I promise you! Frankly, I am pretty good at the mystery solving in many books, but this one definitely got the better of me! I sincerely hope you all give this book a read – it is one of the best I have read to date! Now, for some REALLY GREAT NEWS! Alexa Verde has the next book in The Potter’s House series available for pre-order! you all may recognize the name of the heroine, Miriam Lizzaraga from Season of Hope, I am so thrilled she is getting her own story! I cannot wait for this to be released later this month! Click below to make sure YOU do not miss out on this one! Can a scarred man running from his past and a beautiful star running from her future survive a murderous attack and find healing in God’s loving arms? Country music sensation, Miriam Lizzaraga, thinks her world’s crushed when she loses her voice. But that’s before her first love decides to marry someone else and the man who nearly killed her sets out to get her again. In desperation, she accepts help from a stranger, Philip Barlow. But with a target on her back and pain in her heart, can she love again? Alexa has GENEROUSLY offered to have a free ~*Giveaway*~ to one of our blog members!! Simply comment on this post to be entered to receive the ebook of Heart Unbroken! Giveaway is open for seven days from today and winner will be notified via email! Paula Marie: Thank you so much, JoAnn for taking time out of your oh so busy schedule to sit down with me and our readers for coffee! JoAnn: Thanks so much for the invitation! I’m very grateful for the opportunity to get to know you and the readers of your blog. And over coffee? Even better! 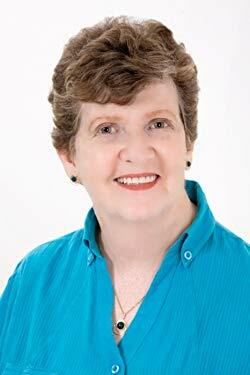 Paula Marie: I am amazed at the amount of novels you have written over the years, several of which I have read and all of which I have enjoyed! I know you have held many “jobs”, Pastor’s wife, mother, paralegal, etc.! How did you ever find the time to write during those days? Joann: You ask a good question, and it’s one I’ve often asked myself! I think the best answer is that I required very little sleep during the time I was drafting out my early books. When I started writing, I was a stay-at-home mother/youth pastor’s wife in Philadelphia, so I arranged my writing schedule around our three children and church activities. When we lived in the Boston area (my husband was a senior pastor), I put my writing—but not the passion for it—on the back burner. A few years later, when we moved to my hometown in southern Indiana, I’d stay up writing until two a.m. during the week and then get up at seven (to be at work by nine). It also has much to do with motivation and determination! Being a little tired took the “edge” off my work, and I was able to keep calm and function well, thank the Lord! Believe it or not, I actually worked three jobs during that time when I was drafting the books that eventually became my “signature” Lewis Legacy Series. I primarily worked as an estate administration paralegal at a large law firm, but a few times each week, I’d literally cross the street at five o’clock to work at the Kentucky Center for the Arts as a floor manager. I supervised the volunteer ushers and made sure everyone got to their seats (and prayed no one fell, got in a fight, or had any issues). Then I’d sit outside the theater during the performance and work on my books. I also worked a four-hour shift on the weekends at a children’s clothing store (I’d started working at the same store chain in the Boston area to clothe my own kids well). So, you tell me, how did I have any energy left?! I couldn’t do it today, but I was blessed to quit my other jobs and step into full-time writing for God’s glory in mid-August of 2014! I haven’t looked back since. Paula Marie: That is nothing short of amazing! I don’t think I have ever had that sort of energy, lol! I know we have a lot in common growing up in the same era, but tell me what was your favorite TV Show as a child and why? JoAnn: The Friday night lineup on ABC was my favorite: The Brady Bunch (my favorite! ), The Partridge Family, Room 222, and The Odd Couple. The Bradys embodied the so-called American Dream and they were so fun, cute, and relatable! I also liked Flipper, and my brother and I really enjoyed a short-lived show called Time Tunnel, a time travel/adventure show where the two male characters visited different time periods in history. I still remember the Titanic and Pearl Harbor episodes. Fascinating! However, my absolute favorite TV program of all was only on once a year: Rodgers & Hammerstein’s Cinderella (taped live television musical) starring Lesley Ann Warren as Cinderella. The music! The costumes! The romance with a prince! I sent a letter to Lesley requesting an autographed photo, and I was so happy to receive one in the mail! I could tell she’d signed it personally, and I treasured that photo. Still do! Fun fact to know and tell: I even named my most recent heroine in Thee Will I Honor “Lesley Ann” in her honor. Paula Marie: How sweet of you! I always liked Lesley Ann Warren’s acting as well, but never saw the program you mentioned, found this pic on Wikipedia from it though! Brady Bunch was high up on my list of favorites too! Where do you get your inspiration from for your characters? Especially your slight quirky ones? JoAnn: I have quirky characters? Ha! Quirky is so much fun! All my characters are mostly created in my sometimes overly active imagination, but a number of them are based in part on people I’ve known. Like a lot of authors, I will freely tell you that anything you say is fair game to be used in a book one day! I’m also an avid people watcher/observer (airports, especially the international terminals, are terrific). I used to find inspiration in newspapers. The idea for mineralogist Seth Barnes (try repeating that word quickly three times straight!) in Heart’s Design came from a Philadelphia newspaper article about a region in Maine rich in gems and minerals. The basis for a pedicab owner/operator in Love So Amazing came from a pedicab ride in Indianapolis late one night when all the cabs were gone and a pedicab guy offered us a ride to our hotel. Now, I find more inspiration from internet articles, the line in the grocery store, radio segments, you name it! I’m telling you, with this gal, anything is likely to show up in a book sometime! A memorable little girl in Whisper to My Heart is based on a friend’s daughter from church who’s a little spitfire and says the cutest things. Paula Marie: I’ll be sure to be careful what I say around you, hahaha! I find it fascinating how many different styles of writing authors have, what would define yours as? JoAnn: Great question! I’d say my writing style is faithful (to the Lord’s teachings and intended to give Him glory and honor), entertaining, and sentimental…with a dash of humor added! I like to believe my books are easy to read yet intelligently written. I’m not “flowery” and prone to write a sentence where you need to back up and read it three times to try and figure out what I’m actually saying. In more of my later books, I deeply research various topics and most of my readers feel like they’ve actually learned something—NASA (I visited Johnson Space Center and Kennedy Space Center and asked a ton of questions), woodworking, airplane prototypes, being a member of the U.S. military, Colonel Sanders, Charles Dickens, to name a few. You never know where my books will take you! Paula Marie I love being able to learn something while enjoying a novel! I can play trivia games and everyone asks how did you know that? I laugh and say i read it in a book!! Do you often find yourself with your characters running through your head before you have even had a chance to write them down? JoAnn: Not really. I might differ from other authors in that regard, but in some ways, I’ve always been a rebel. I don’t do (or write) things because it’s what others say I “should” do (or not do). With one exception, I’ve only written one book at a time and focused solely on those characters. That way, they can run around all they want, and I’m right there (or “write” there) beside them! Paula Marie: I know I sometimes feel like the people in my favorite stories become friends, and seeing as how you have a few different series and several standalone books…do you find it difficult to “say goodbye” to your characters from the stand alone novels once you have completed them? Paula Marie: Hahaha! I will definitely be staying tuned!! I love how you have the Bible Verse Matthew 5:16, “Let your light so shine before men, that they may see your good works, and glorify your Father which is in heaven”, on all of your communications can you share another one or two verses that have special meaning to you? Paula Marie: Romans 8:28 is certainly one of my mantras as well! I know you love spending time with your family, especially your new grandchild, and writing, but what are some of your favorite pastime activities when you aren’t doing something with the family or writing? JoAnn: Is there life beyond family and writing? I adore traveling, and I’ve been blessed to take some fabulous trips and see many places in the world, especially B.C. (Before Children). I spent a semester abroad in college (we lived in London and then toured the European Continent for three weeks). I went back to Europe with my mother a couple of times, and she helped to foster and install an independent spirit and a love of traveling in me. Believe it or not, I used to be shy, but going places and meeting new people encouraged me to open my eyes and enjoy different cultures, customs, history, architecture, and experiences. I like to cook, but I’ll admit we eat out more than we should. I love to decorate but don’t generally enjoy cleaning. I used to adore working counted cross-stitch pieces, but I was one of those weirdos who made the back of the canvas look as pretty as the front. Definitely a perfectionist, a mixed blessing. 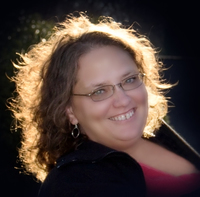 Paula Marie: How can fans keep in touch with you and your upcoming books? Paula Marie: Finally – Coffee or tea? Cream? Sugar? JoAnn: Oh, I definitely love a little coffee with my French vanilla creamer and Splenda, thank you so much! Just don’t ask how many packets of Splenda I add (depends on whether I’m making it myself or getting it elsewhere). I can’t go to the drive-thru at my local McDonald’s and order coffee or else they’d need to alert the nearby hospital to be on standby for a possible sugar overdose! I also adore hot apple cider in the fall and hot chocolate with marshmallows during the holiday season. Paula Marie: Thank you again for sharing this time with me and my followers! It has truly been a pleasure getting to know you and becoming friends! Please take a moment to to say thank you and enter to win any of JoAnn’s single ebook of your choice! Contest will end Monday, August 13th at midnight! When love grows cold and vows forgotten, can faith be restored? Charles and Faith Young are numbers people. While Charles spends his days in a fancy Fort Collins office number-crunching, Faith teaches math to the students of Colorado High. Married for sixteen years, Charles and Faith both know unequivocally that one plus one should never equal three. When blame becomes the order of the day in the Young household for their failing marriage—blaming each other; blaming themselves—Charles and Faith each search for answers why the flame of love no longer burns brightly. In their efforts, one takes comfort from another a step too far. One chooses not to get mad, but to get even. Dying love is a slow burn. Is it too late for Charles and Faith to fan the embers and make love rise once again from the ashes of their broken marriage? Can they find their first love again—for each other, and for God? I have been lucky enough to have read several of Marion Ueckermann’s novels over the years, and do enjoy her writing style! This story of a marriage in crisis is just amazing. I mean, not that I like to see a marriage in trouble, but who doesn’t have issues in their relationships come up over the long term? Ever? Don’t get me wrong, I love the stories that always have the “Happily Ever After” endings, but don’t you ever wonder what conflicts those couples may face years down the road? How do truly Christian couples deal with hard situations in their marriage? What about when there are children involved? These are issues, more often than not, avoided by most writers, for obvious reasons, right?! Marion takes a lot of these concerns and struggles in married life and puts them against the wall in Restoring Faith. I also like the change of pace in the age and “stage of life” for these characters, as in, you know, not youngsters looking for their first love, so to speak. Faith and Charles Young are struggling with the current state of their relationship, and both are growing weary of putting on a “happy face” while in the company of friends, colleagues and even family members. It’s gotten to the point where their teenage son is realizing that things are strained at home too. There is so much going on in these people’s lives, and Marion has a way of truly making these characters come to life by giving you both of their points of view in such a heartfelt real way that I found myself actually praying for Faith and Charles to find a way back to each other, and God. They experience a lot of heartache, much miscommunication…and some seriously unexpected twists and turns along the way. I can usually “see” things coming before they happen in novels, but this one definitely had a few surprises for me! I say that in a good way! This book is another winner for me, and I sincerely hope you all enjoy it as well!! Marion has also GENEROUSLY offered to have a free ~*Giveaway*~ to one of our blog members!! Simply comment on this post to be entered to receive the ebook of Restoring Faith! Giveaway is open for seven days from today and winner will be notified via email! Paula Marie: Janet, thank you so much for taking the time to sit down with me and answer a few questions so we can get to know you a little better! Janet: It’s an honor to be here! I’m loving your blog! Paula Marie: Oh, thank you, that means so much to me! I feel lucky to say I have read every one of your books! From those books, it is obvious you have a love for the South, can you tell us more about where you are from? Greenwood, Mississippi, in the flat, fertile Delta region of the state where there is a great deal of farming. At five-years-old, our family moved to Jackson, Mississippi, which Is the capital city. Though compared with other state capitals, it’s fairly small. But most of us think that’s just fine. Our state is diverse in its landscape, but most is wooded and green, bordered by the Mississippi River in the west and the Gulf of Mexico in the south. The northeastern part of the state is heavily forested rolling hills. In that area, the quaint college town of Oxford is where I chose to set the first three novels. It’s such an adorable place with large oaks draping sidewalk and streets. All regions of our state are hot much of the year. We have some cold winter weather here and there, but I remember some years wearing shorts on Christmas. You just never know! I just had to attach a few pics for you! Paula Marie: When did you first fell the writer’s pull? Janet: I started writing in 2012 after my parents passed away. The story idea for Leaving Oxford had been churning for about six or seven years before that but I never sat down to write it. I wanted to write a story that removed some of the stigma that goes along with anxiety. I wanted it to be an encouragement because I’d also suffered from panic attacks. And once that story came out, more bubbled up. I hope to keep writing as long as God provides me material. Paula Marie: Can you tell us a little bit about your writing process? Are you a plotter, out-liner, or more spontaneous when writing your novels? Janet: I was a definite panster at first, but I’ve become more of a loose out-liner. It helps keep the story on track. I pray I allow the Lord to lead. I always say any of the good stuff is God, the messed up part is me! 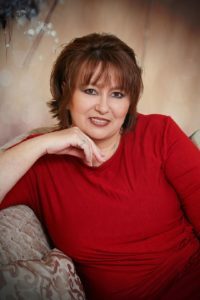 Paula Marie: Your characters in the Southern Hearts series continue to show up in the subsequent novels, do you find that easier to incorporate them, or more of challenge to have to “revisit” them and bring their lives up to date with the current story line? Janet: It seemed pretty easy at the time because I wrote them back to back. I did have to chart the characters, places, and timelines, though. I’ve thought about (and have been asked to write) another story for Bryan, Emma, and Grant. I think it will be much harder after being away from them for so long. I’ll be pulling those charts back out if I do! Paula Marie: I love to know what authors do with their free time when not writing or spending time with family, what are your other passions? Janet: Good question! I enjoy ladies Bible studies, going on walks with my neighbor/friends/family, and listening to music. Travel is something I love whenever possible, and I like to take lots of pictures. I walk around looking for beauty in creation every day. It helps me be thankful! Paula Marie: I have loved your football characters and scenarios, due to my being a diehard football fan….is that a sport you enjoy as well? Janet: My husband and son both played football in high school, and they watch SEC football, so I’ve learned a lot about the sport. I enjoy watching Mississippi State and Ole Miss with them. The research for Leaving Oxford and Tackling the Fields made the sport and mentality of the players even more interesting. Wow, those guys love it, breathe it, and miss it when they can’t play anymore. Paula Marie: What is the one thing you would like for readers to take away with them after reading a novel of yours? Kanet: God loves you more than you can ask or imagine, and there is no sin so bad that you can’t be forgiven if you turn your life over to Him. Paula Marie: What were your favorite books to read as a young child, ones that you made sure your children read when they were the same age? Janet: Oh, I loved books like Charlotte’s Web and Little House on the Prairie. I never read The Chronicles of Narnia as a child, but I read them all aloud to my kids. I adore them! 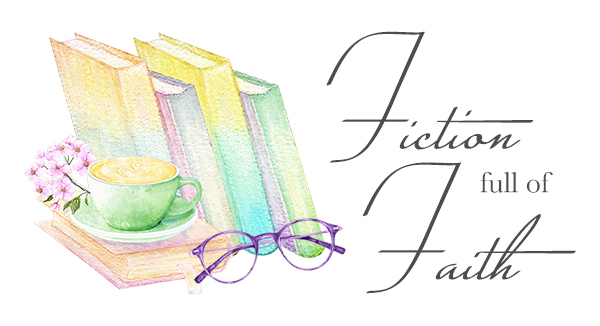 Paula Marie: How can readers keep up with your news and upcoming releases? Janet: Two cups of black coffee every morning, although in Ireland I enjoyed hot tea with cream! Giveaway is open for seven days from today and winner will be notified via email! Very Special – as in FREE – This weekend only (Friday, July 27th thru Sunday, July 29th)!! 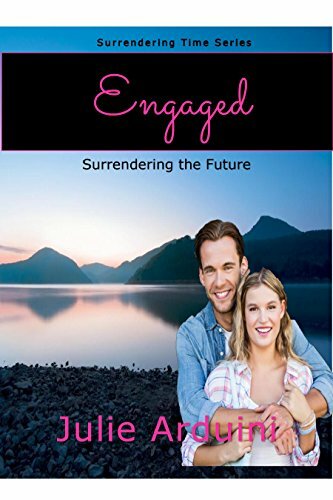 Donovan Harper and Claire Morgan are more successful as co-owners of a thriving advertising agency in quaint Serendipity, Pennsylvania, than they were at navigating their romantic relationship. When an eccentric client makes an unusual request, Donovan convinces Claire their agency should participate in Serendipity’s annual Christmas Challenge. With contests and activities ranging from The Snowflake Plunge, candy cane making, snowman building, wreath and tree decorating, and a snowmobile race, could this be the opportunity Donovan has prayed for to win back the love of his life? Join the holiday fun with Claire and Donovan in a story celebrating love, faith, family, small-town charm, and the true miracles of the Christmas season. In addition to The Christmas Challenge, JoAnn Durgin is the USA Today Bestselling Author of the beloved Lewis Legacy Series as well as Prelude, the prequel to the series. Her other works include the Amazon bestselling Catching Serenity, Heart’s Design and its sequel, Gentle Like the Rain, The Wondrous Love Series, Echoes of Edinburgh, Perchance to Dream, Whisper to My Heart, The Valentine Verse, Thee Will I Cherish, and the popular Starlight Christmas Series. USA Today Bestselling Author JoAnn Durgin’s debut novel, Awakening (November 2010), is the beginning of the beloved Lewis Legacy Series of contemporary Christian romantic adventures with eight books and counting, including Prelude, the prequel to the series. Pursuit, Lewis Legacy 8, released in January 2017, and three more installments are planned for the series (with a spin-off series lined up right behind it where you never know when one of the original TeamWork volunteers or a Lewis family member might pop up unexpectedly to keep it fun). Roundabout, Lewis Legacy 9, released in January 2018. JoAnn is also the author of the Amazon top-selling Whisper to My Heart, Catching Serenity, as well as Heart’s Design and its sequel, Gentle Like the Rain. Her other books include The Wondrous Love Series, Perchance to Dream, Echoes of Edinburgh, The Serendipity Christmas Series, The Valentine Verse, Thee Will I Cherish, and the popular Starlight Christmas Series. As a fun project after the release of her 25th published novel, JoAnn recently started a new series of shorter novels with the pen name of Julianna Desmond! The first novel, ONLY A HEARTBEAT AWAY, released on September 1, 2017. You can read the book description and find out more on the Amazon Author page for Julianna Desmond. These books will be standalone, complete, happily ever after short novels. Rest assured, they will be written in JoAnn’s signature style with humor, romance, grace, and faith, and will be connected only by their similar titles. ONLY A BREATH AWAY is up next in early 2018 (release date to be determined). A former estate administration paralegal, JoAnn now writes full-time, and she loves nothing more than sharing her stories of faith, family, and love. After living from coast to coast in the U.S., she now resides with her family in her native southern Indiana.